Once you’ve absorbed the news of finding out that you are pregnant, you’ll probably start to focus on the practicalities of what happens now. Should you go to see your doctor? How do you get yourself into the system of prenatal care? Who will take care of your health and the health of your unborn baby? For most women, there will be a standard number of regular appointments to check their progress; for others there can be extra appointments if their doctor needs to keep a closer eye on them and their baby as they progress through pregnancy. You’ll be given routine blood and urine tests and your blood pressure will be checked. Advice on lifestyle and well-being will also be given by your doctor. You can opt to be screened for infections and complications that could affect you or your baby, and there are ultrasounds and tests to assess your baby’s health. Prenatal appointments are a great opportunity to seek advice about the many changes you are experiencing, as well as to connect with your pregnancy, and with your baby (you’ll find out how much she’s growing and you might get to hear her heart beating). You can even go to childbirth preparation classes if you want to learn more about what happens during labor and birth, and how to take care of your new baby afterward. Your doctor will lead your care so that you have a pregnancy that is as healthy and safe as possible, but he or she should take into account your needs and preferences. There will be some decisions about which tests you do and don’t want, how and where you’d like to give birth, and whom you’d like with you when you do. When planning your birth you might consider: Are you more comfortable with the idea of a giving birth at a hospital or birth center? How would you describe your pain threshold? Does the idea of giving birth in water appeal or fill you with dread? What about giving birth standing up, sitting in a birthing chair, or lying down? Your answers to these questions might change over the course of your pregnancy—and that’s fine, too. Mapping out your wish list is a good way of honing in on specific aspects of your pregnancy, but don’t let yourself get too frustrated if things don’t always go according to plan. Nature sometimes has different ideas, which is all part of the adventure. What should I do when I first find out that I am pregnant? You may be asked when the first day of your last menstrual period (LMP) was, in order to calculate an estimated date of delivery (EDD), or due date. Give your doctor a rough idea if you don’t know this date for sure; you’ll be offered an ultrasound at around 12 weeks pregnant to assess the due date more accurately. 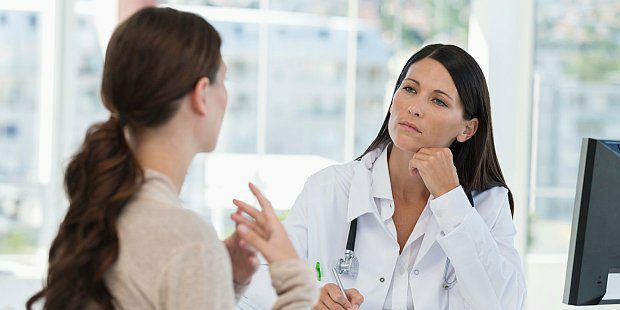 You will need to tell your doctor about the history of any previous pregnancies (including terminations), any health issues you have, and any relevant family medical history for both you and the baby’s father. If you’re taking medications, have them with you, so he or she can tell you if it’s safe to continue taking them. Be prepared to say how long it has taken you to get pregnant (if you’ve been trying), and if you had fertility treatment. In the latter case, you will have an early ultrasound to confirm the pregnancy and make sure all is well. You can be asked about your diet, alcohol consumption, and any smoking or drug use. It’s important to be honest in your answers since this appointment is an opportunity to ensure that you get the best available care for yourself and your baby. Everything you tell your doctor is confidential—and it will benefit the health of your baby. Finally, you will be given information on nutrient supplements to take (including folic acid and vitamin D), food safety, nutrition, and the various screening tests available to you in pregnancy.